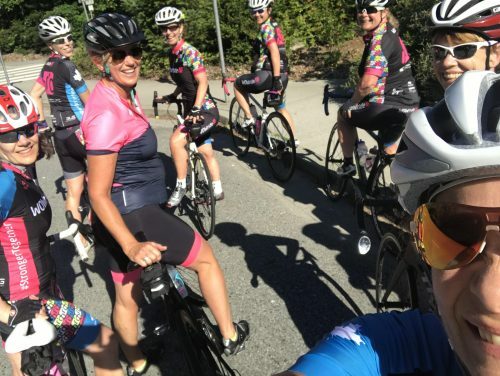 Riders meet at 49th Parallel, 2198 4th Avenue in Kits – 9:30am hard start. North Shore members will meet at 2nd Beach parking lot at 9:50 am. Riding at tempo is a moderate to challenging pace that you can hold for 45 minutes to 2 hours. Perfect for our Tuesday morning Stanley Park loops AKA SPLoops. We’ll accomplish a lot of work in a short amount of time. Let’s rip off a few laps of Stanley Park, improve our endurance, speed, strength and paceline skills and occasionally debrief over an espresso. See the SPLoops route here. Join and follow WOWride on Strava. Riders will be divided based on ability, experience and distance preferred. No drop policy. Please click on this link to review “How to ride in a Group Paceline”.